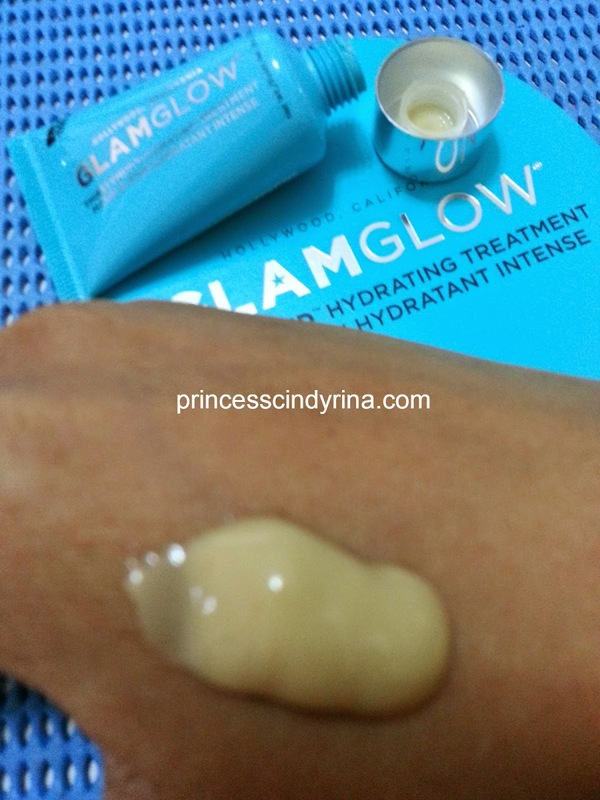 Last year, 2014 I wrote my review GlamGlow Super Mud Mask. 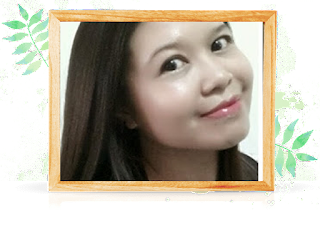 This year, Butterfly Malaysia presented me with GlamGlow Thirsty Hydrating Treatment mask. This Thirsty Mud mask is slightly different from the original mud mask which is more on exfoliate. This one is however , I could say on the thin and light side texture. Just like in photo shown, it look like a BB Cream. It provide treatment for thirsty skin and it treatment provide extreme hydration. So what's is the ingredient of this GlamGlow Thirsty Mud mask? - TEAOXI technology which delivers natural Linoleic Acid, which is a moisturizing fatty acid to maintain moisture. - Olive leaf is carefully ground and micronized for deep absorption into the skin. Olive leaf contains hydroxytrysol to help hydrate, Oleuropein to help add moisture and Tyrosol to restore and repair. - Short Term Hydration : It contains a powerful group of other ingredients - Orange Blossom, Coconut Oil and Ginger root. - Medium Term Hydration : mircro hydraclay and other ingredients , oat beta glucan, Natural Malic and Hyroxy Acids. - Long Term Hydration : powerful blend of hydration acids, Hyaluronic and Citric Acids which gives you real repair and hydration benefits. It contains NO parabens , sulfates and phthalates. 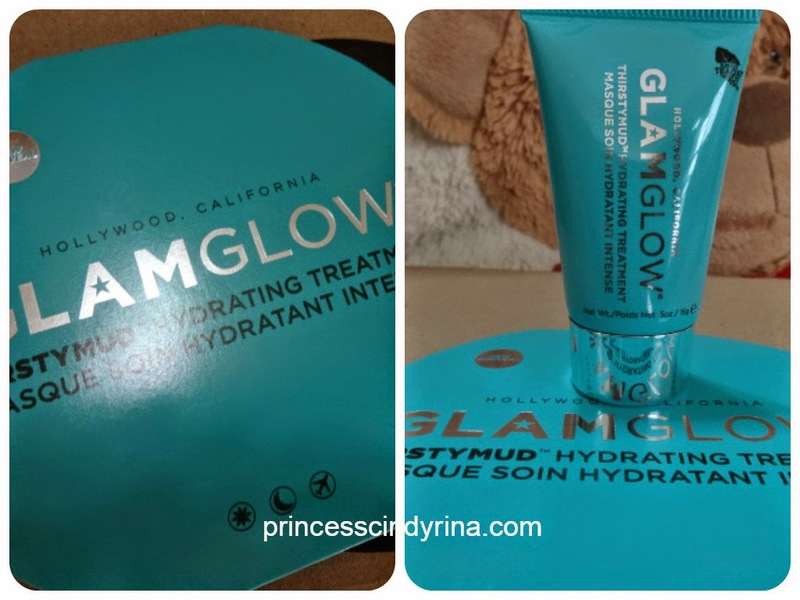 Reading at the ingredients it look like GlamGlow Thirsty Mud is a very hydrating product since it promises to give extreme hydration for short, medium and long term result. It sounds brilliant, right???? I love the turquoise colour packaging. How to use this GlamGlow Thirsty Mud Mask? I just spread it across face and let it sink in. Then you can just wipe away the excess with tissue or cotton swab after 15 - 20 minutes. It has a yummy coconut smells. I don't like the feeling of hydration and I can feel like my facial skin is sweating underneath those mask layer. My skin felt lovely and glowing after removing all the excess. Just don't like that sweating feeling while having that layer of mask on. Where to get GlamGlow Thirsty Mud Mask? You can visit the nearest Sephora outlet and grab on jar of this.